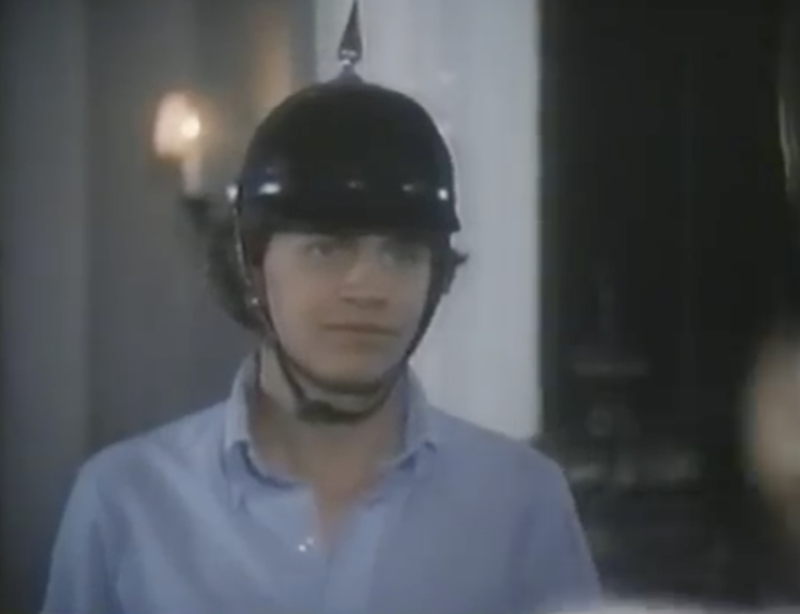 Tom Hanks’ first movie role wasn’t a comedy, like you’d think. It was barely a drama. 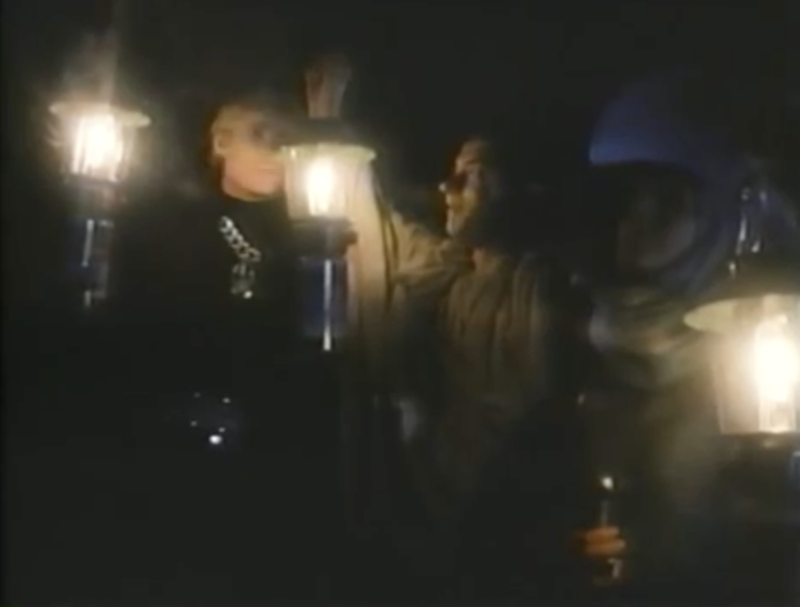 His movie debut took form in the role of Human Robbie/Cleric Pardieu in the 1982 TV Movie Dungeons & Dragons Scare-Film called Mazes and Monsters, a movie based on a hastily written book loosely based on inaccurate facts about the disappearance of a teenager who was interested in D&D. The movie starts out with a flash-forward to a crime scene – someone’s in trouble and we don’t know who. We’re told that the incident involved a role-playing game called Mazes and Monsters and not much more. Flashing back to the true start of the movie, we’re introduced to a bunch of priveleged kids who attend school together. There’s JJ, the eccentric party boy who wears a rotating lineup of goofy hats. Then there’s Kate, the beautiful collegiate who is way-too-fashionable to be a Dungeons and Dragons fan in the 1980s. Boring Daniel wants to be a videogame designer, but doesn’t have his parents support. 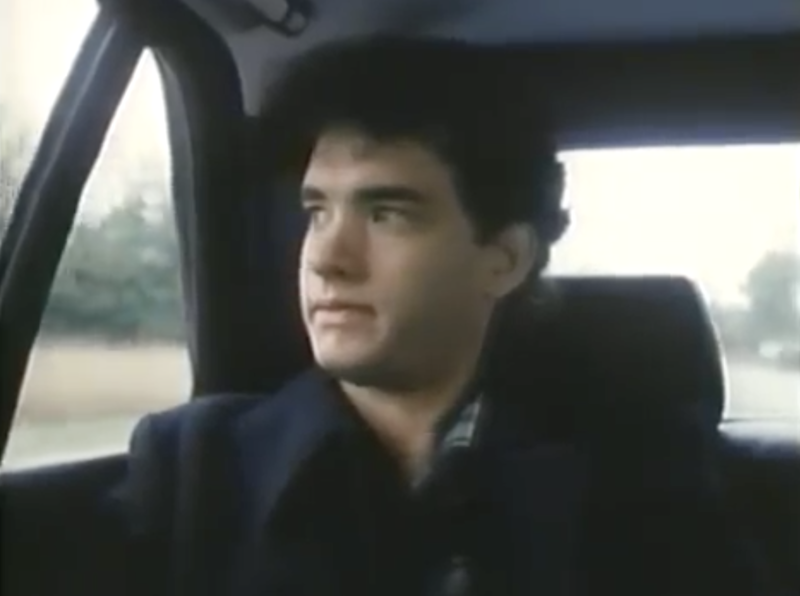 And finally Robbie, played by Tom Hanks. Kicked out of one school as a result of his obsession with Mazes and Monsters, he transfers to the school that JJ, Kate, and Daniel attend with the promise that he won’t play again. That promise lasts about five minutes, as Robbie falls in with the gang and the foursome become best friends over sessions of Mazes and Monsters. Turns out Robbie’s got a pretty rad character from his obsessive other-college campaign. Robbie and Kate become an item. Robbie confides to Kate that his little brother ran away when he was younger and he hasn’t seen him since, a strange thing to bring up. JJ gets isolated from the group due to their relationship, and plans his suicide in a nearby cavern. 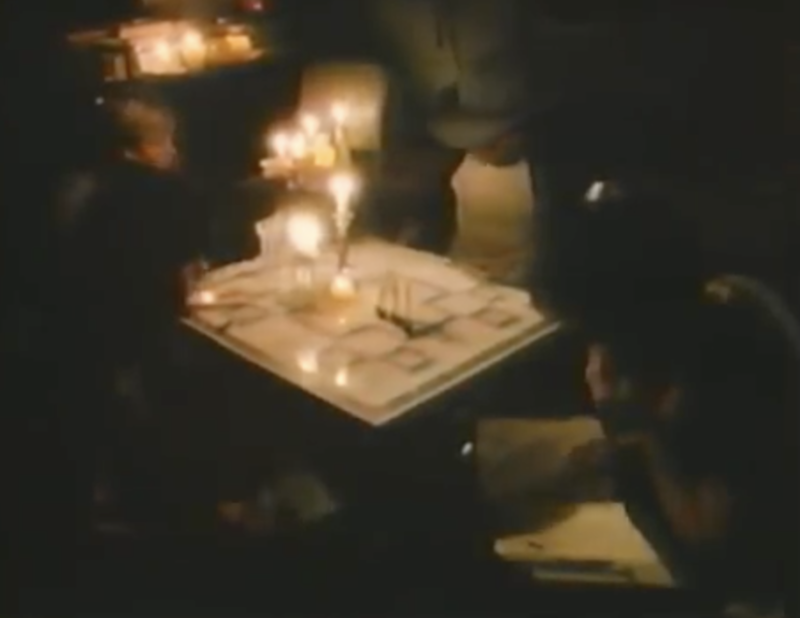 He then quickly changes his mind on this plan, for some reason, and decides to create a Mazes and Monsters campaign in the caverns for his friends to enjoy instead. The group goes out for their first session in the cavern and have a pretty good time. Robbie, however, has an episode where fiction and reality become blurred, and a switch ‘flips’ inside of him. He sees an actual monster, and fights it. From that point on Robbie more or less becomes his character, the healer Pardieu. He abruptly breaks off his relationship with Kate, has dreams of his missing younger brother, designs elaborate maps referencing “The Two Towers” and “The Great Hall”, and eventually disappears completely. 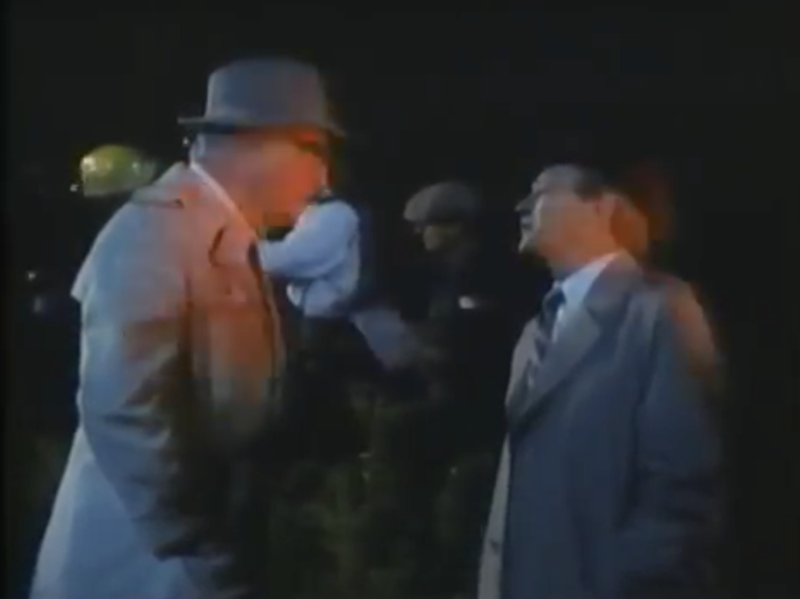 While the gang tries to find details of his whereabouts, the police get involved as well. 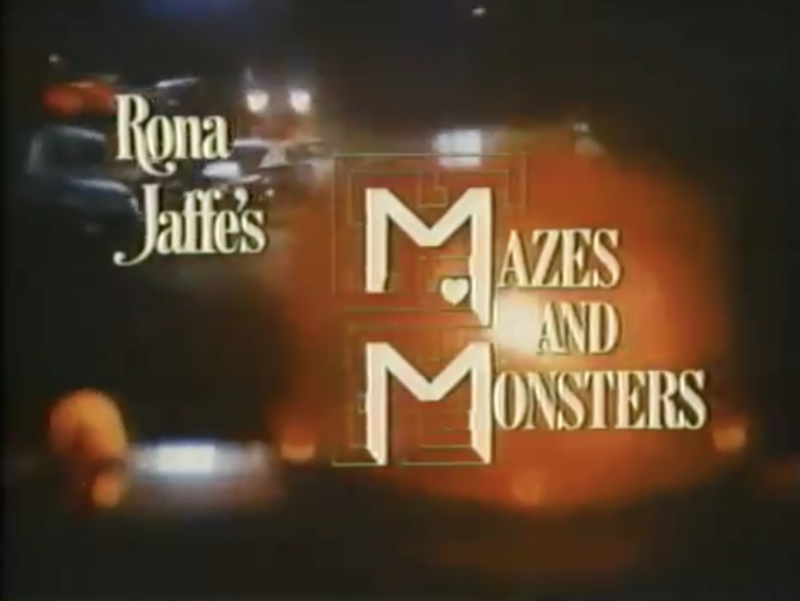 The police learn that Robbie had a history with Mazes and Monsters, and the gang hides their involvement so as not to be implicated. The police somehow learn of the cavern campaign, and a detective poses to Daniel the theory that one of Robbie’s fellow gamers killed him in the cavern. 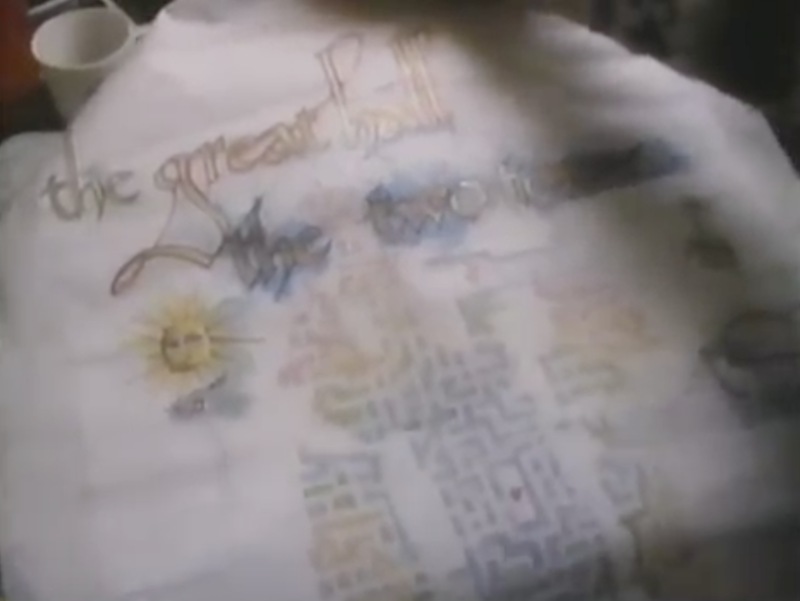 The gang realizes that Robbie’s mentions of “The Great Hall” are referring not to a place but to his missing brother who was also named Hall. We see Robbie in New York City, still in character, looking for The Great Hall. He’s chased by some local toughs and ends up in an alleyway. Reality and Fiction fall on top of each other and he accidentally kills one of them. He calls Kate in a panic, who tells him to head to JJ’s family’s house in the City to wait for them. Robbie doesn’t follow this advice and continues to amble around. 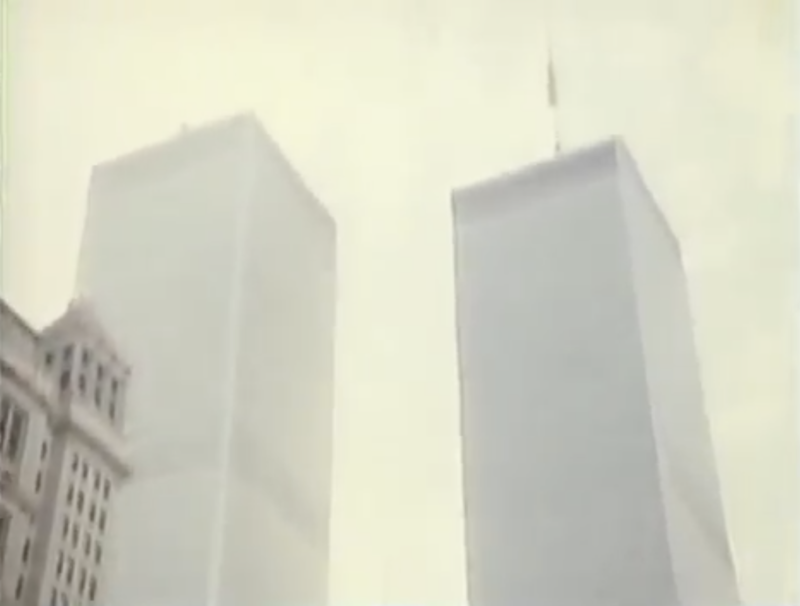 The friends arrive in New York and quickly realize that “The Two Towers” refers to the World Trade Center, and that Robbie is heading there to jump off and join his brother, “The Great Hall”. They all run into each other on the roof of the World Trade Center and, in character, talk Robbie down. JJ uses his authority as dungeon master to convince Robbie that this is a game, and Robbie snaps back to reality. 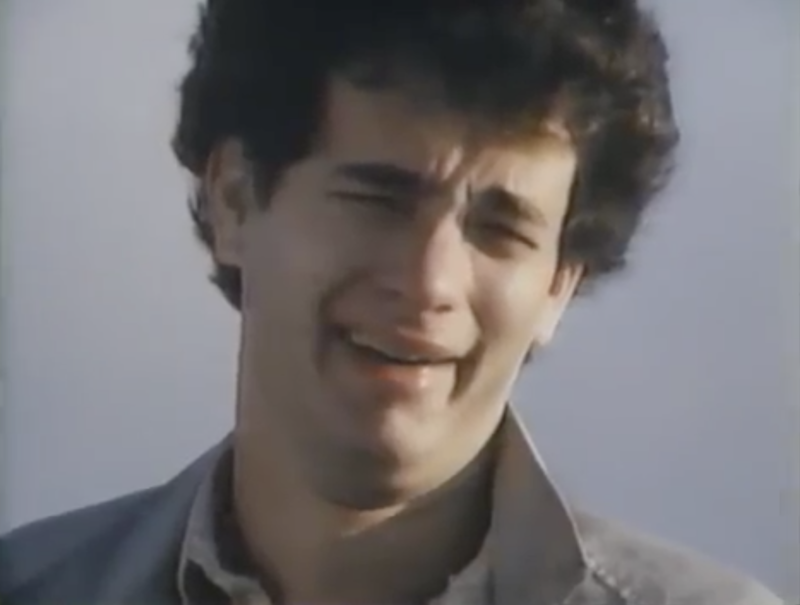 And gives the first of what will be many classic Tom Hanks sad faces. Epilogue: three months later. Kate is basically writing Mazes and Monsters: the book of the TV Movie. The gang visits Robbie at his family’s house, where he is taking time off of school to get his head straight. They meet him in the backyard and prepare for a special reunion….only to learn that Robbie is still trapped in his character. They play the game one last time. 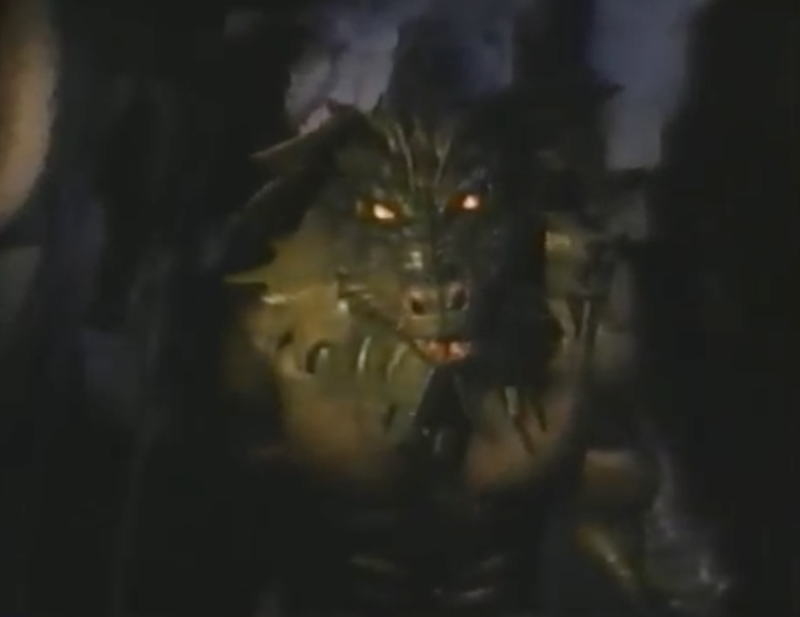 This whole movie seems like it was written by somebody who read the sensationalist headlines of the day regarding the dangers of Dungeons and Dragons and not much more. It’s an interesting interpretation of the form that someone’s concerns about losing a child to D&D might have taken in the 1980s. It’s also interesting because, despite the hokey story, Tom Hanks is actually pretty good in this. He makes it worth watching. Roll for initiative and see for yourself. How do you sell your superior handheld device if you’re not Nintendo? Throw a bunch of jabs at Nintendo! 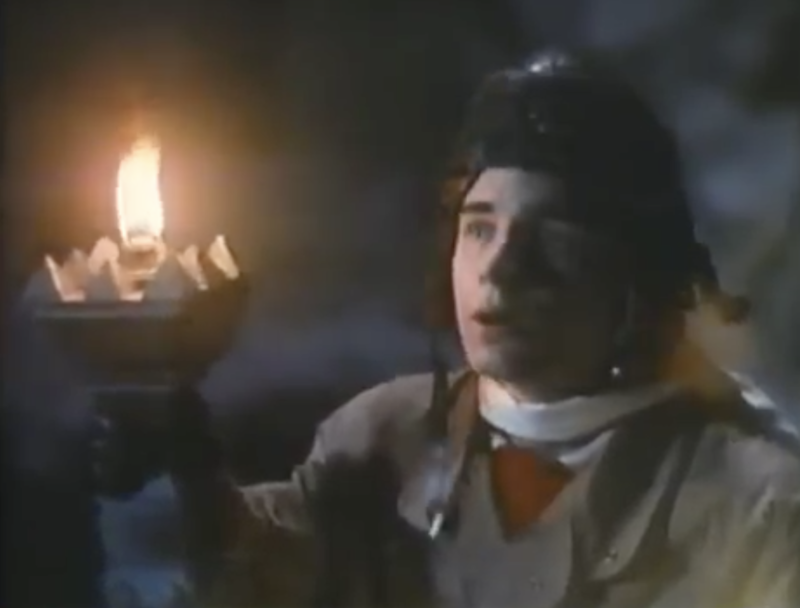 These ’90s SEGA Game Gear commercials are quick to push their full color and game library, but don’t necessarily bring up their four-minute battery life. An alien race called the Moonbeams are mining moonstones from our Moon. 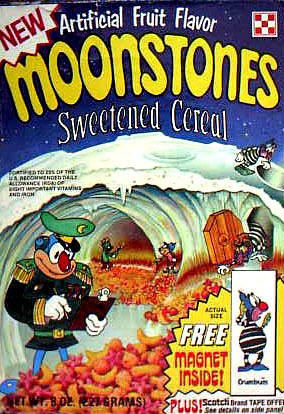 The Moonbums are trying to steal the recipe for the moonstones. Do you need recipes for things that are mined? This is a really complicated cereal. I could use this ’80s anti-snacking PSA’s reminders on a half-hourly basis. 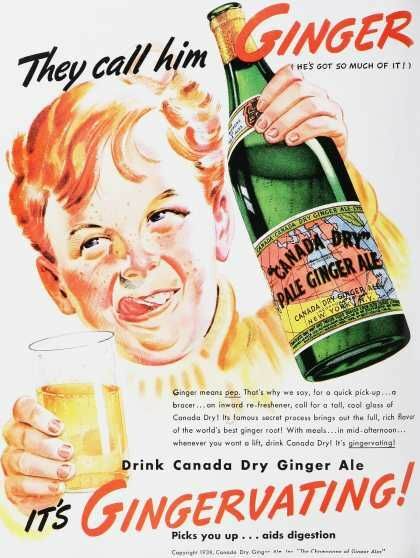 A truly horrifying Canada Dry ad. Next Post Five Things – 4.24.17 – Coming Soon, You Angel!